With the 996 and 997 model line-up each model release is an evolution of the previous step. Small refinements each time, and more power extracted from the flat-6. 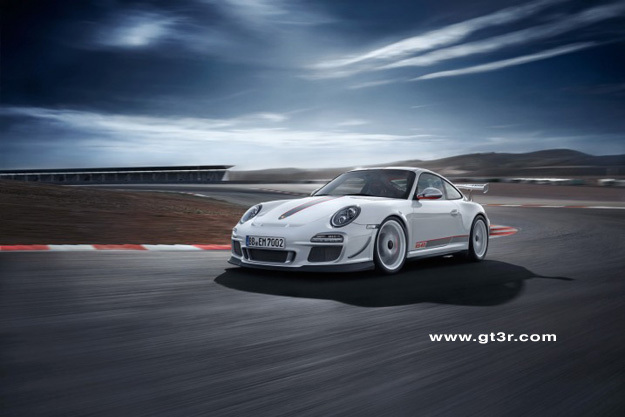 Suspension revisions allowing a yet again wider track at the front and rear, as well as aero package refinements.The 997.2 GT3 RS is another example of the continued evolution. 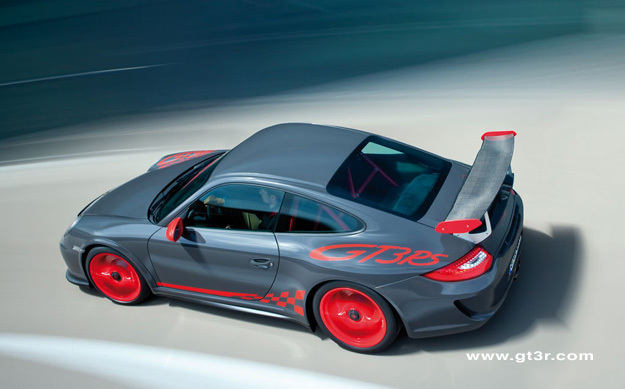 Porsche is also introducing another new option in 2010 for the GT3 RS, a lithium-ion battery. Delivered with the car and, when replacing the conventional lead-acid battery, it reduces the weight by more than 10 kg or 22 lb and is mainly intended for the track. 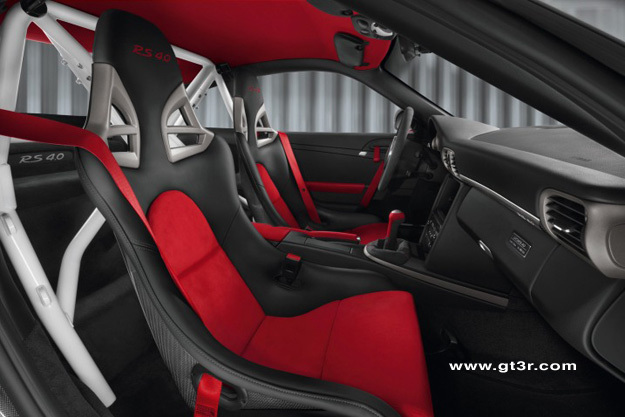 To further improve its sporting behavior, the new 911 GT3 RS comes with a purpose-built and specially set up PASM suspension, a wider front and rear track and corresponding bodywork. With the 911 GT3 RS 4.0, one of Dr. Ing. h.c. F. Porsche AG, Stuttgart's most popular, coveted and successful racing pedigree production cars is entering the home straight. 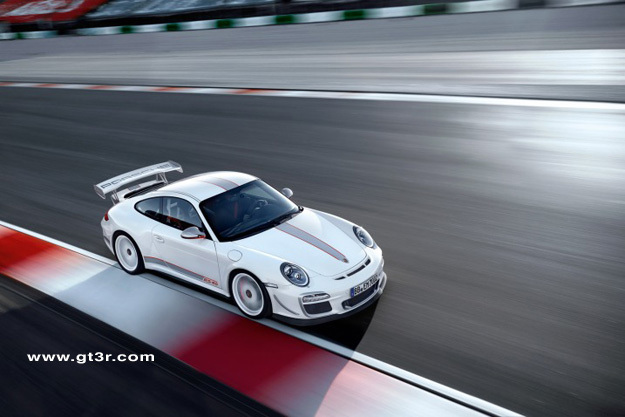 Limited to 600 vehicles, the 911 GT3 RS 4.0 brings together in a road car all the attributes that have made the Porsche 911 GT3 a serial winner on the race track. The new model purveys thoroughbred motorsport technology to its innermost core. The flat engine's crankshaft has been lifted unchanged from the 911 GT3 RSR racing car's six cylinder engine and the forged pistons' connecting rods are fashioned from titanium. The four-litre displacement sports engine, the biggest 911 model line engine ever, is also the most powerful naturally aspirated engine with 125 hp/litre (92 kW). It achieves its maximum power of 368 kW (500 hp) at 8,250 revs per minute. The engine delivers its maximum torque of 460 Newton metres at 5,750 rpm. 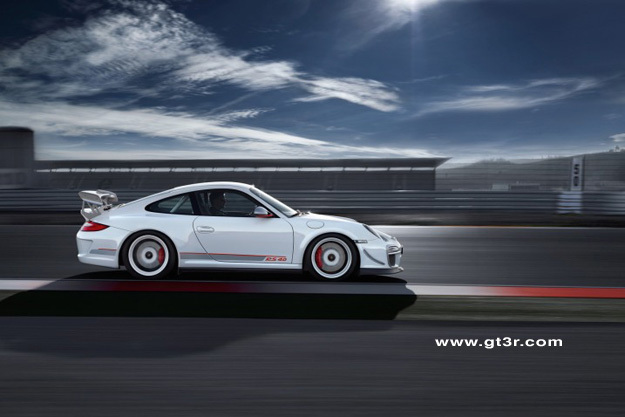 The 997 GT3 RS street car is taken a bit further again over the "normal" 997 GT3. 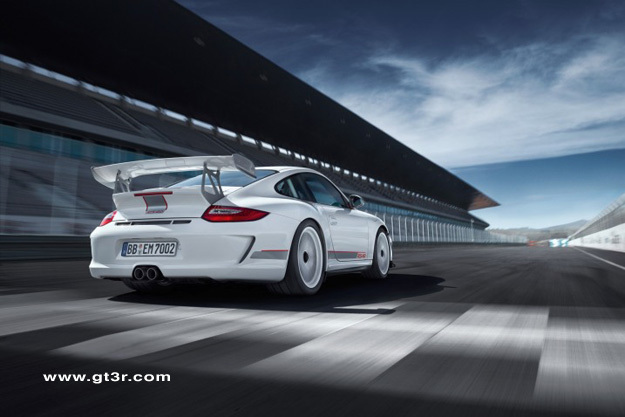 The final 997 GT3 rendition, complete with 4.0L engine package. 600 built worldwide.